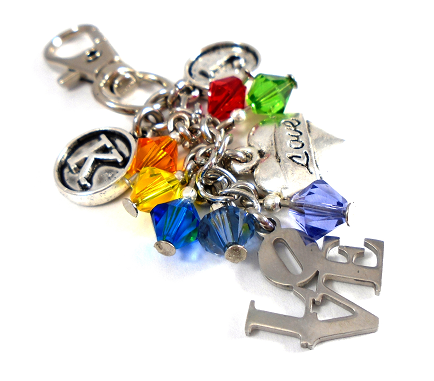 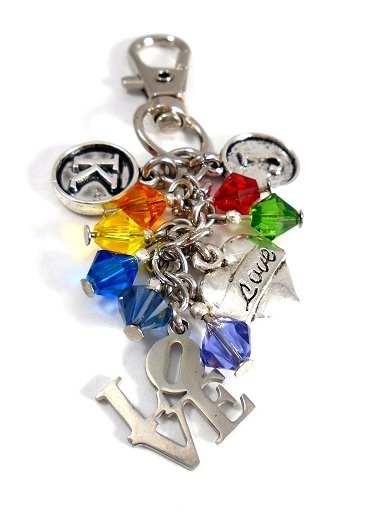 Gorgeous Pride Swarovski Crystals 'RAINBOW' key chain will be seen!! 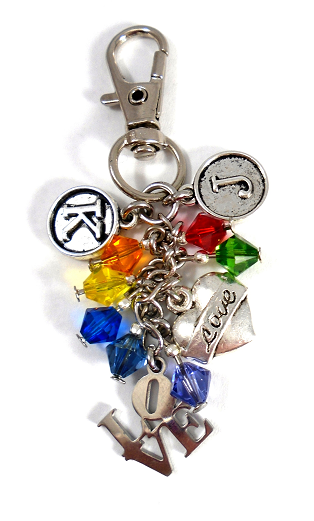 Your key chain will include the 'LOVE' and 'LOVE Heart' Charms AND You may customize your 'LOVE IS LOVE' key chain with up to TWO Initial Charms to show the world who you are and who you LOVE. 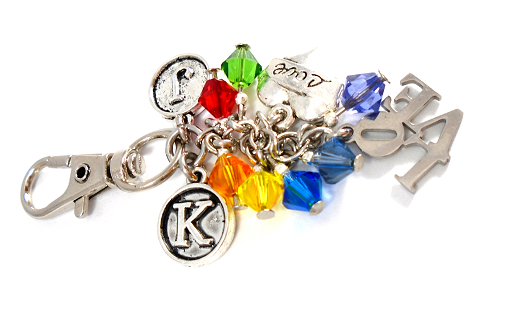 Approximately 2 1/2" from top to bottom.